Properties in West Coast average 4.5 out of 5 stars. Property 1: Charming older style cottage . Property 11: Motukiekie beach. A jewel in the West coast crown. Property 23: Charlies Farm Cottage - sunny central spot for fishing, swimming, exploring. Quaint beachfront cottage. Sunny deck and views. Property 27: Quaint beachfront cottage. Sunny deck and views. 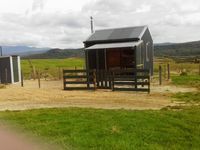 Property 37: Koru Beach Cabin/Bach. Free wifi/breakfast and hot tub. Property 46: Comfortable, large family bach. Property 47: New eco ocean front lodge. 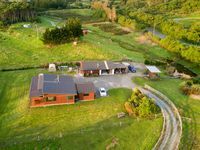 Property 49: Beachfront bach in the heart of Punakaiki. Host was great! And the hut was warm and cosy with a peaceful atmosphere. With a lovely walk down to the river.